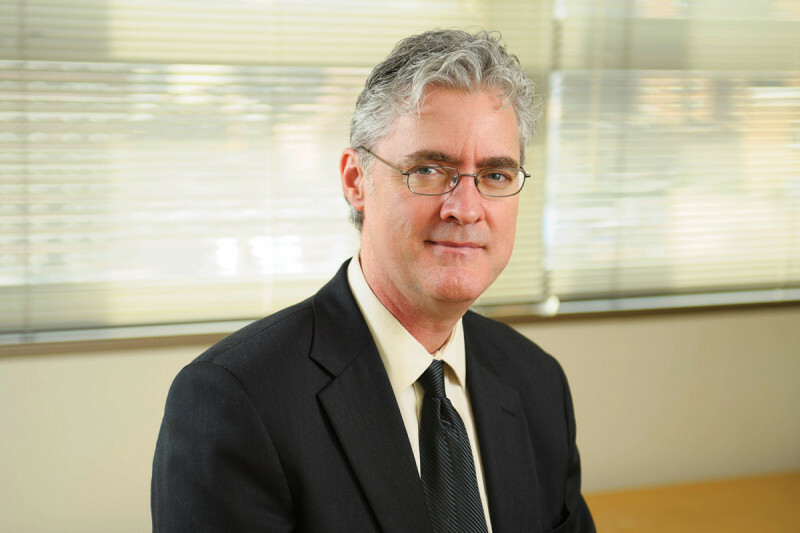 Physicist Joseph O. Deasy joined Memorial Sloan Kettering Cancer Center in 2010 as Chair of the Department of Medical Physics and incumbent of the Enid A. Haupt Chair in Medical Physics. An expert in radiation therapy, Dr. Deasy is dedicated to developing new ways to optimize and plan treatments on a person-by-person basis. We spoke to him in 2013. While studying physics as a graduate student at the University of Kentucky, I became interested in applying my training to the medical field, in particular in oncology. I thought it would be fantastic to use physics to contribute to the fight against cancer. I found that there are many opportunities for physicists and engineers to take part in this mission. At the University of Wisconsin, where I trained as a National Cancer Institute research fellow, I was fortunate to work with a group of highly talented physicists who were developing intensity-modulated radiation therapy (IMRT), an advance in treatment methods in which a tumor is targeted with multiple radiation beams at different angles and intensities. With this added flexibility, high radiation doses can be shaped to conform to each particular patient’s tumor volume, while giving much lower doses to sensitive normal tissues surrounding the tumor, which considerably reduces the toxic side effects of the therapy. I thought it would be fantastic to use physics to contribute to the fight against cancer. As a researcher at the Washington University School of Medicine, I spent more than a decade developing mathematical models and other methods for optimizing and planning radiation treatment protocols. My colleagues and I created freely available computer software that now is being used by hundreds of physicists and physicians around the world to analyze radiation dose distributions and share research results. We use the software to develop models that can predict whether a treatment is likely to result in a complication. For example, such models can assess whether treatment for lung cancer is likely to cause a potentially life-threatening lung inflammation, or whether a head and neck cancer treatment is likely to cause a permanent dry mouth by damaging the salivary glands. Over the years, we have studied how to take biological factors as well as physical parameters into account. Such biological factors include blood levels of certain proteins that have been shown to make some people more likely to have a radiation-induced complication. In the future, we hope to combine both biological factors and control over the dose distribution to improve treatments for individual patients. I have been at Memorial Sloan Kettering for the past two years, and it’s an extraordinary honor to be part of one of the world’s leading institutions in medical physics. Our physicians, physicists, and engineers have pioneered the development and clinical implementation of numerous technologies that now are widely used for cancer treatment and diagnosis — methods like IMRT and quantitative PET imaging, to mention just two. Today, our medical physics department employs more than 170 staff members. Many of our experts work alongside clinicians to plan and monitor treatments and imaging procedures. We are also responsible for assessing the performance and proper use of more than 10,000 medical instruments used in the hospital, as well as ensuring that radiation is always used safely. In addition, medical physics investigators collaborate with radiation oncologists, radiologists, surgeons, and medical oncologists on a wide range of projects. One growing area of research is the development of new applications of advanced imaging technologies, such as MRI and PET, which I believe will be increasingly important for personalized medicine. For example, we are investigating ways to combine information from multiple kinds of MRI scans using computational modeling, statistics, and machine learning, which is a type of artificial intelligence. By imaging a tumor before, during, and after the treatment, we might be able to deliver radiation more precisely while tracking how the tumor responds to the treatment over time. Working with radiation oncologists, we are testing the idea that treatment could take into account the predicted shrinkage of a lung tumor, right from the beginning of therapy, allowing us to deliver a higher radiation dose without increased toxicity. Working with radiologists and epidemiologists, we are learning how to extract clinically meaningful information from MRIs to make cancer screening programs more effective. In women undergoing screening for breast cancer, such imaging data could potentially be used to identify those who are at high risk for developing the disease later in life, so that women at lower risk might be spared from having invasive tests they don’t need. Potentially, blood tests might be added to screening to make the process even more effective. The intersection between physics, biology, and medicine is truly fascinating. I enjoy collaborating with physicians, who know what the real clinical problems are. As a physicist, it’s fun and rewarding to work on difficult problems that can lead to improvements in the lives of our patients.